Ready to make some powerful shifts to your health? The personal nutrition programs I put together specifically for your needs will not only change your health, but will change your life. You deserve better than to accept the pain and suffering digestive issues cause. Let’s work together to create a nutrition and lifestyle plan to improve how you feel, today! Let’s build a personal nutrition program that works for you. No matter your diagnosis, each client I work with is unique. I’ll get to know you and find out what you really need from me. And you’ll see that it’s not just about the food you eat. 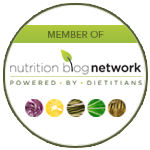 As a Registered Dietitian Nutritionist (RDN), my primary purpose is to educate you on all topics related to nutrition. I’ll give you accurate, reliable, and up to date information you can trust and you’ll know exactly the reasons and research behind the nutrition program I develop for you. Ever wonder how much you should be eating and what you should be eating? Well, most people do! I’ll calculate your specific calorie and macronutrient (carbs, protein, fat) needs based on your health goals. I’ll also specify micronutrient needs (vitamins, minerals, antioxidants, etc.) that must be addressed to optimize your outcomes. I’ll review certain types of dietary programs indicated for different health conditions. There’s more than just knowing what to do…you must actually do it! By setting SMART goals and helping you overcoming barriers to change, you’ll actually see the results you are after. I’ll keep you motivated and engaged in your program during and in between sessions. I’ll review previous lab work within the past year and assess if any additional labs are necessary for your case. There are some labs I order directly and others that I recommend through your doctor. You can only manage what you measure. Therefore, I’ll get you set up with specific tracking parameters so that we know if we are getting closer to the goal. Common tracking parameters include anthropometrics (weight, measurements), exercise, food, symptoms, sleep, etc. My job is to empower you, so that when our time together comes to an end you know what to do and how to do it. You’ll get full access to all of my favorite dietitian-tools that I have in my back pocket including the latest apps and websites, recipes, meal planning templates, grocery shopping lists, handouts, and more! You’ll leave each session clearly understanding what to do, how to do it, and why it works! Pick your program level and let's do this! Schedule your "Get Acquainted Session" to discuss program options as well as specific goals, pricing and payment options.